Throughout 2016 Röda Sten Konsthall dedicated its exhibition program to interrogating the concept of the Anthropocene. Through a series of exhibitions, seminars and programming events, Röda Sten Konsthall created a multi-disciplinary platform that from an artistic and aesthetic perspective explored mankind’s relationship with planet Earth within its vast geological history. We live in a time period where it has become obvious that human activity has changed the planet to such an extent that we are now living in a new geological era, The Anthropocene. The term is formed by combining the Greek word 'anthropos', meaning human, to the suffix 'cene', meaning new or recent. According to scientists, humanity has altered the planet to such an extent, that future geologists will be able to trace the human imprint of today's society in glaciers, rocks and sediment. It is argued that the Anthropocene began at the same time as the Industrial Revolution. The exponential use of fossil fuels, increased population, urbanization, carbon dioxide, methane gas and the atomic bomb have led to today's changing natural conditions. As a direct result, we can now see a systematic degradation of natural environments and ecological systems. The sea, land, coastal zones, forests and atmosphere have all been dramatically affected, causing a sharp reduction of biological species, animals and plants. Thus, the Anthropocene is a testament to mankind’s central role in shaping the world today. Although the term Anthropocene is taken from the geological sciences, contemporary art has in parallel embraced the same questions. Art, philosophy, and popular culture have for decades challenged the relationship between man and machine, nature and culture, past and future. The Anthropocene is here, but what does it mean to exist in an epoch dominated by humans? How can we change our environments, landscapes, cities and communities in the face of this ecological crisis? Have we made the Earth a better or worse place for us to live? 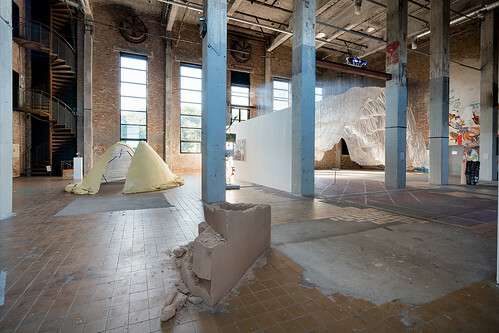 And what role can contemporary art play in the course of learning from the Anthropocene? 1. Tides of Time by Finnish artist duo IC-98 which questioned humanity’s understanding of the passage of time and how our existance positions itself in the history of geological evolution. 3. 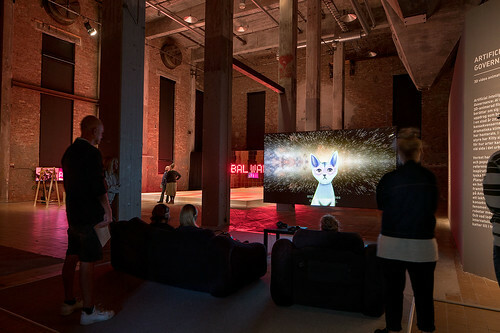 The Warm, The Cool and The Cat by Turkish Artist Pinar Yoldas an exhibition that addressed topics of global warming, capitalist consumerism and hypothetical mutated species of the future Anthropocene. 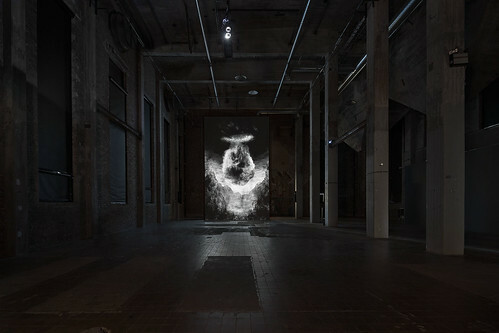 The following videos are documentation of the selcted program that accompanied each of the three featured exhibitions. “Contemporary artists have an important and evolving role to play in exploring what it means to be alive in the age of human influence – the Anthropocene. Through their works and aesthetic experiences , we are invited to reflect upon these big issues – being political, existential, social or bodily.